Don Fairgrieve-Park joined QuadReal in February 2017. As Executive Vice President, Operational Excellence, his work with QuadReal focuses on leading office and industrial property management teams across Canada. In support of operational excellence across the organization, Don also leads sustainability, customer experience, procurement and digital innovation. Don brings over thirty years’ experience in commercial real estate. 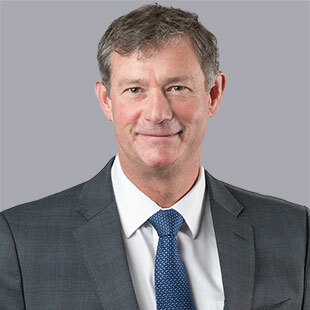 Don was formerly Senior Vice President, Real Estate with Bentall Kennedy, where he was responsible for the strategy, direction and growth of Bentall Kennedy’s development, leasing and property management in Calgary and Winnipeg. Previous positions included senior management positions in both Calgary and Vancouver with Oxford Properties and Bentall Kennedy. Don holds a B.Comm. from the University of Calgary, and currently serves as the Past Chair of BOMA Canada and sits on the BOMA International Nominating Committee. Previously, Don was a Director of BOMA Calgary for six years and Chair in 2012. He has volunteered on several industry boards including Director, NAIOP Calgary and as past Chair and Director of the Green Calgary Association. Don is committed to customer service excellence, environmental sustainability and supporting the industry though education.